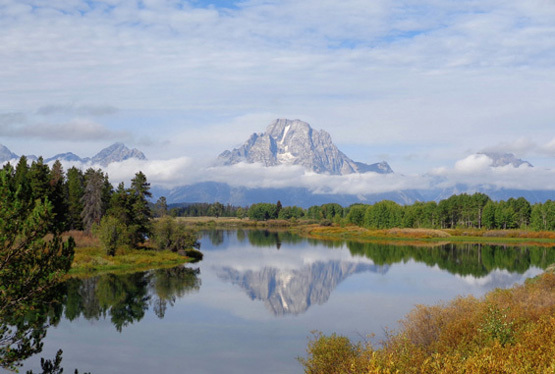 value, of plants to the well-being of humans and to earth's fragile ecosystems." 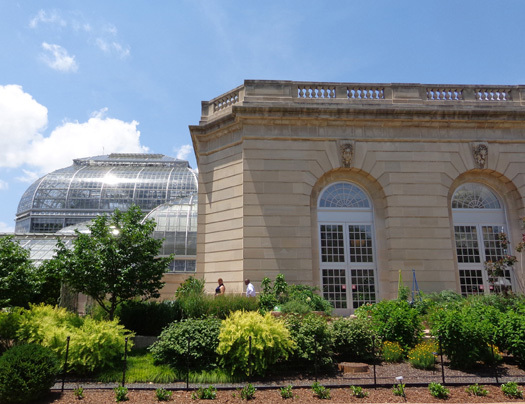 Over 200 years ago George Washington's vision of the U.S. capital city included a botanic garden. Congress approved the idea in 1820. 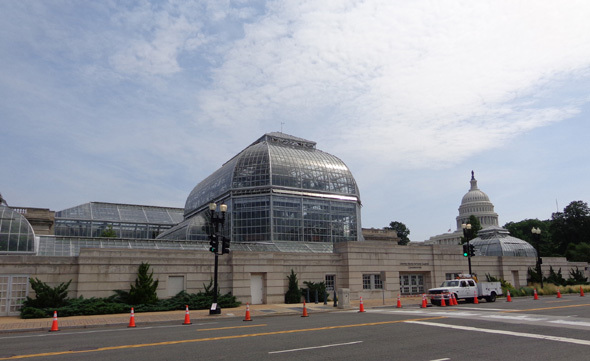 The U.S. Botanic Garden is recognized as a museum. 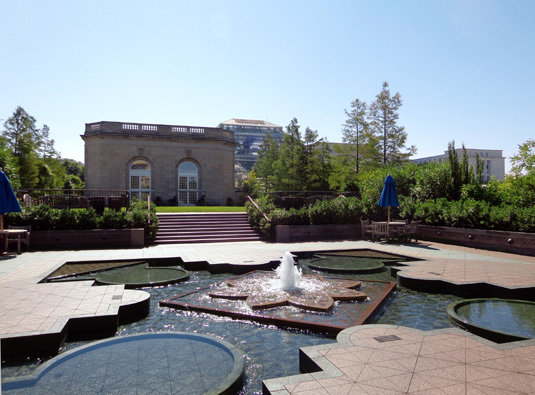 It includes a large glassed-in conservatory and two lovely outdoor gardens, the National Garden and Bartholdi Park. 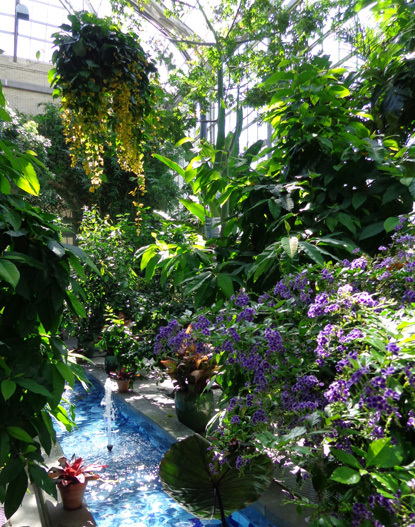 Like so many other museums in Washington, D.C., admission is free to the Conservatory. 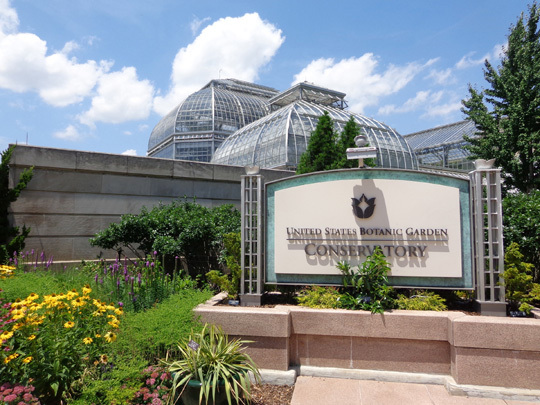 The Conservatory and National Garden, which is gated, usually open at 10 AM. The day we wanted to go into the Conservatory we arrived a little too early but the National Garden just happened to be open. We were glad we could wander through it while waiting to get into the building. 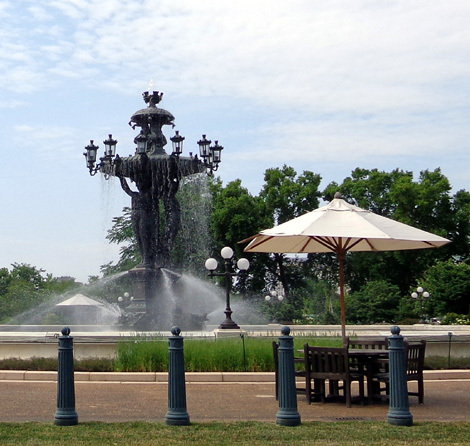 This two-acre park with gardens and fountain were created in 1932 when the Conservatory was moved to its current location. 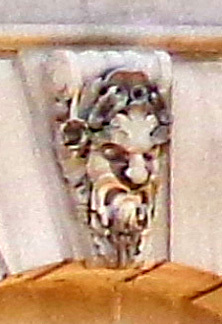 The Cannon House (of Representatives) office building is in the background. 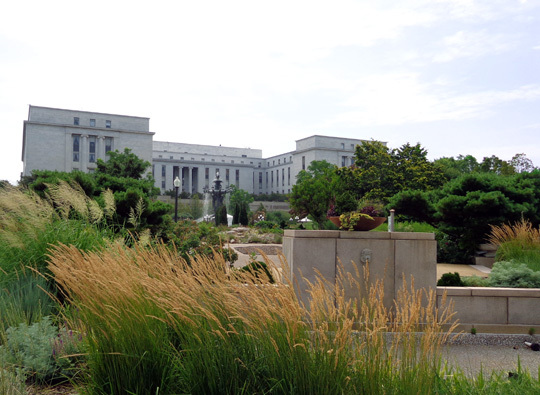 Per the website, this park is more than a nice place to unwind in a busy city. 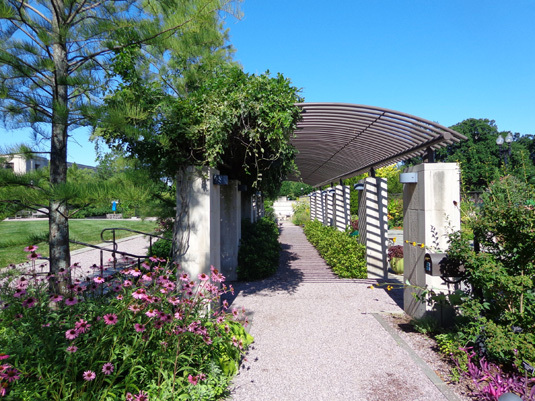 It also serves as a demonstration garden where visitors can learn to apply the latest horticultural techniques to their own yards. 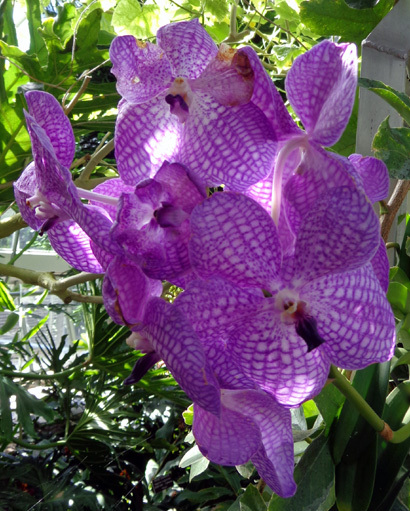 The plants are constantly updated to showcase new varieties and design trends. 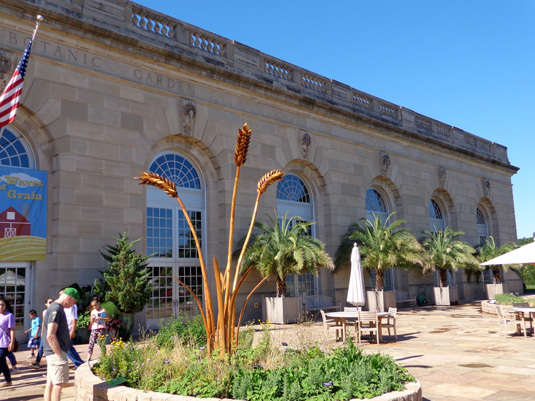 This gated three-acre garden on the west side of the Conservatory is relatively new; it was opened to the public in 2006 and serves several educational as well as aesthetic functions. 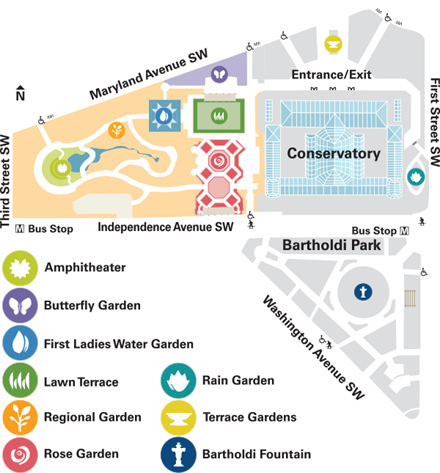 The major features showcase various aspects of gardening in the Mid-Atlantic region of the country, including a butterfly garden, rose garden, and water garden. There is a lawn at one end of the garden and an amphitheater at the other end for small gatherings. 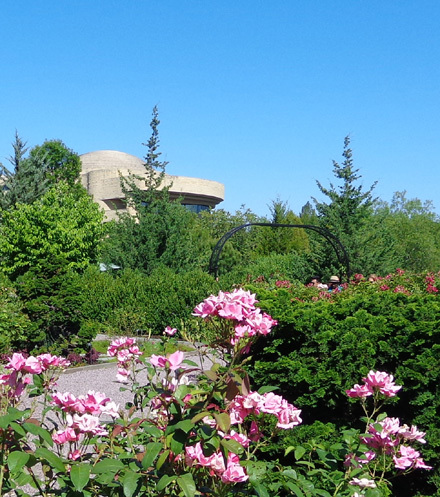 The American Indian Museum is partially visible from the rose garden. What a soothing place to sit, just a block from busy Capitol Hill. 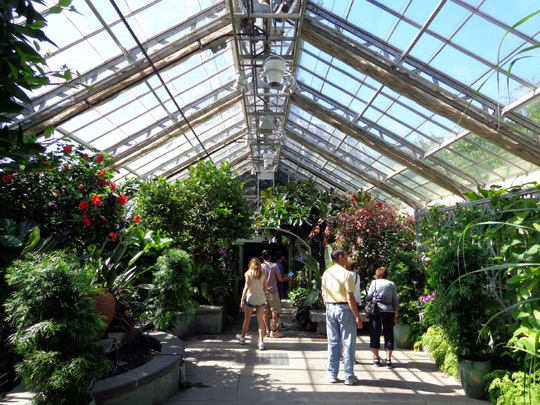 This very large multi-roomed greenhouse, constructed in 1933 and renovated from 1997 to 2001, contains two courtyard gardens and ten garden rooms under glass. 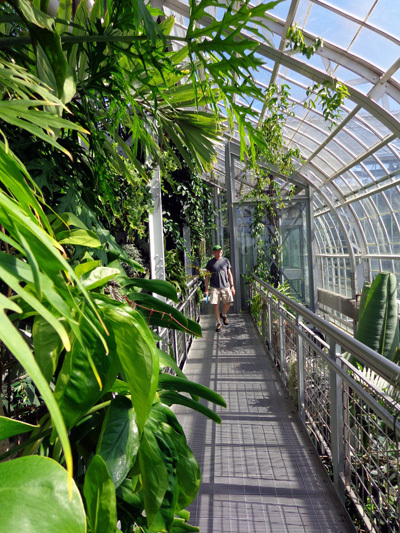 The largest greenhouse, the "Jungle," occupies the center of the Conservatory. 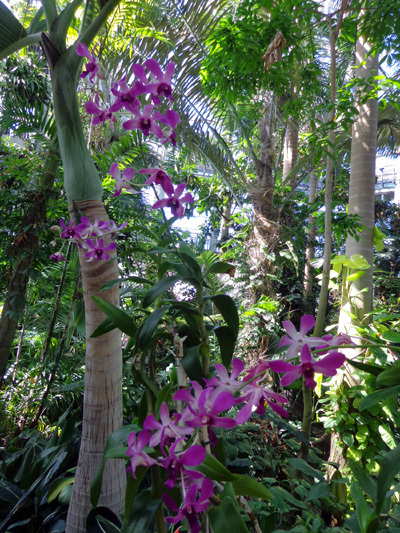 It is a lush tropical paradise with a dome rising 93 feet from the floor. 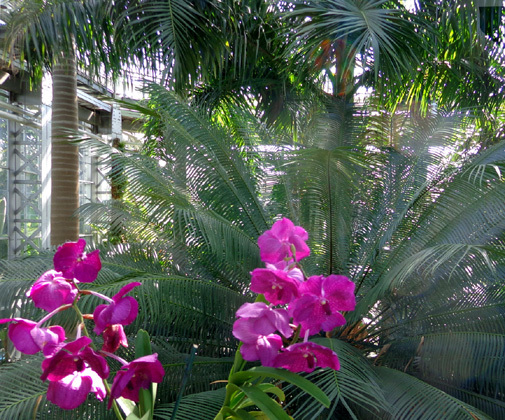 It is full of ferns, palm trees of every kind imaginable, numerous orchids, and other exotic plants to transport visitors to another world. The environment inside this and the other greenhouses is controlled automatically -- misting, sun and shade, air circulation, heating, cooling -- the keep the plants fresh and healthy. 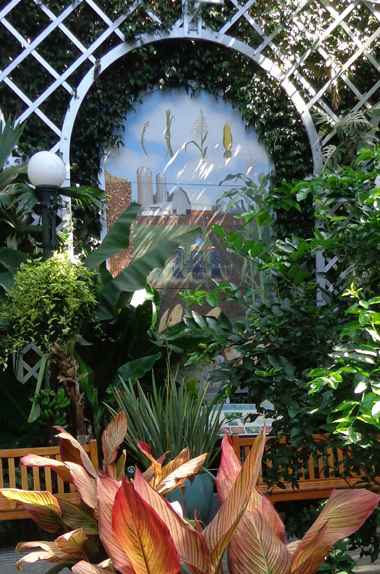 Inside the front of the Conservatory are also a classroom and two galleries with changing exhibits. 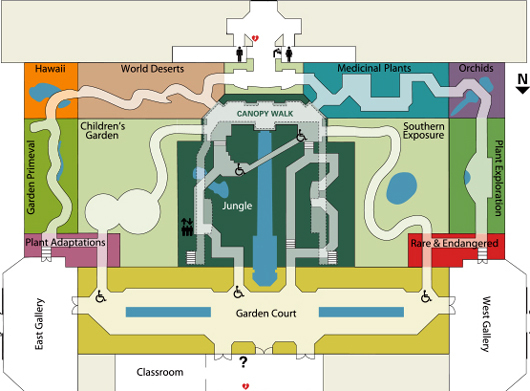 In addition there are two outdoor courtyards featuring a children's garden and a garden for plants from the Southeast U.S., Southwest U.S., and Mexico. 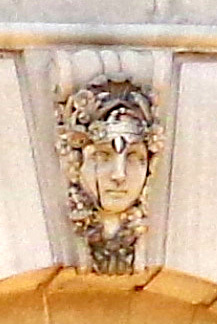 Part of the north side of the building; the main entrance is to the right. Jim reads the interpretive plaque for the metal wheat sculpture near the Conservatory entrance. 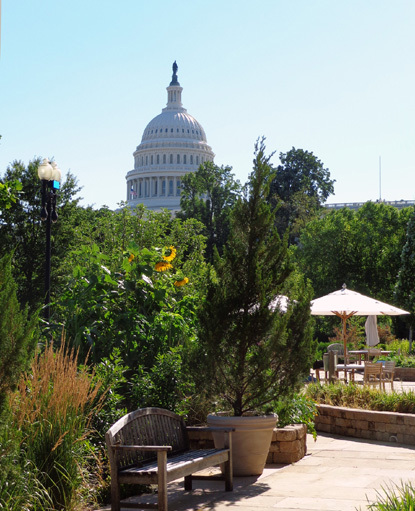 The Capitol Dome is visible from the front terrace of the Conservatory. 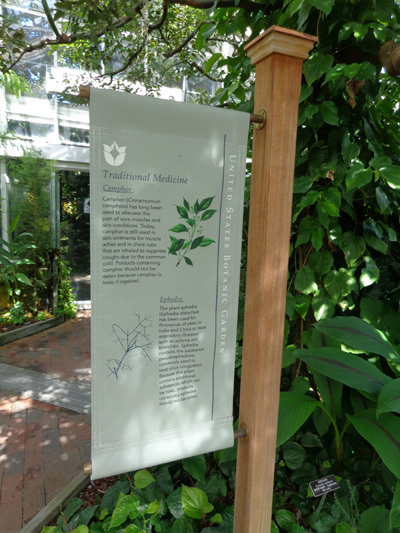 Even if you don't have a yard or aren't concerned about conservation, sustainability, innovative gardening techniques, or other educational aspects of the U.S. Botanic Gardens . . . 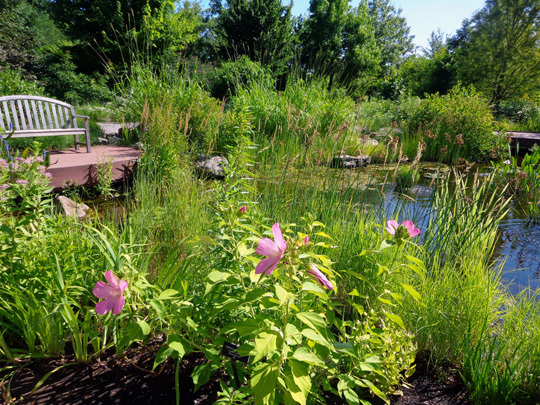 I still recommend visiting this urban oasis to simply enjoy the beautiful landscapes, gorgeous flowers, and large variety of other plants. Remember, it's all free. 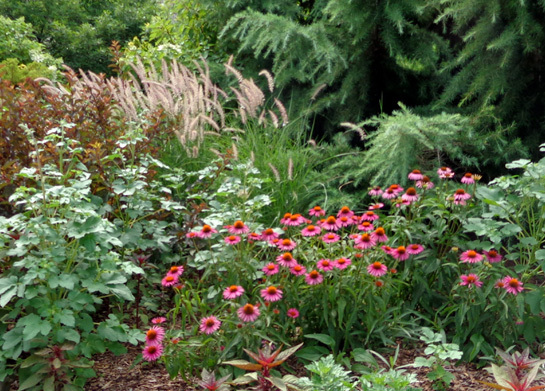 And even if you've been there in one season, go in another -- the outdoor plants obviously change throughout the year and the indoor ones are updated continually.